National Heritage Listed Cultural Icon. The Stick Shed (previously known as the Murtoa No. 1 Grain Store) is the only remaining emergency grain store built during World War Two. This structure is an enduring testament to iconic Australian bush ingenuity and a symbol of the growth and strength of the Australian wheat industry. The Stick Shed is the 101st place included in the National Heritage List. Completed in 1942, the unique and dramatic structure of The Stick Shed has captured the imagination of everyone who has seen its serene and evocative cathedral-like interior. 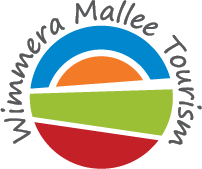 Referred to by some as the ‘Cathedral of the Wimmera’. 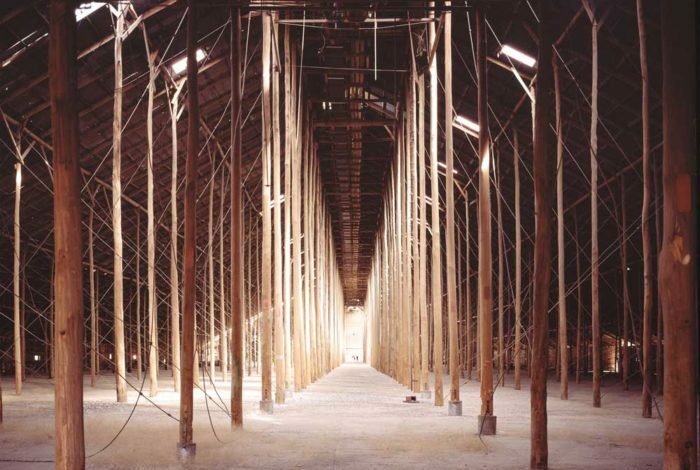 The Murtoa Stick Shed’s ghostly unmilled tall timber poles and central aisle draw the eye upward towards the roof as light spills into the space through skylights as if through a stained-glass window. The Stick Shed Commitee of Management gratefully acknowleges the support of the Victorian Government and Public Record Office Victoria for making this project possible.